This column is about sayings and words in blues lyrics. For a Dutchman it is sometimes hard to understand, what a singer is singing. 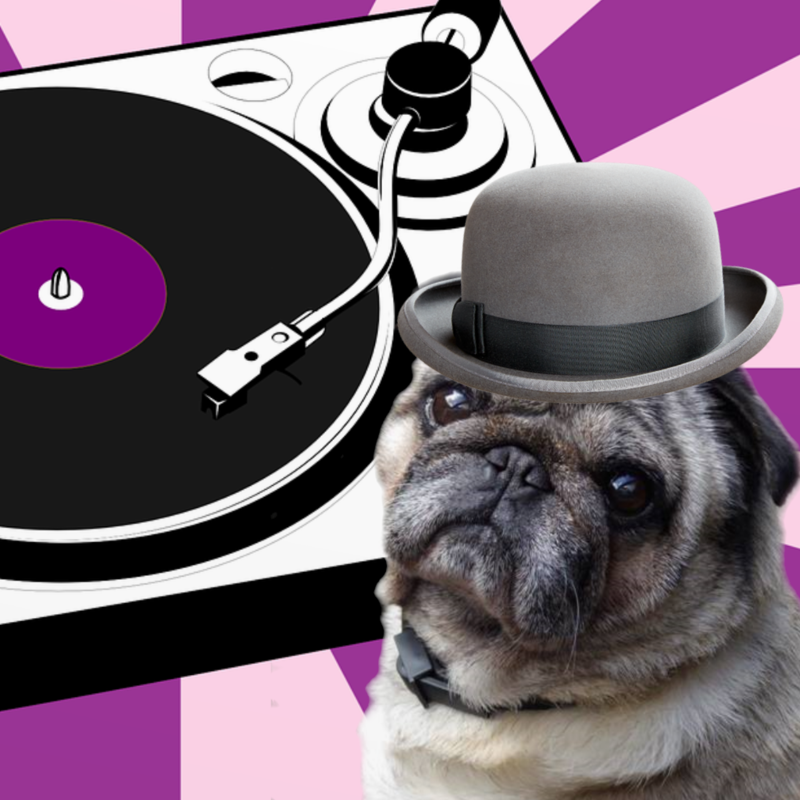 In earlier days, we copied lyrics from vinyl records. If we didn't understand, we used "an English sounding word". Now with internet one can find out what was said and what the meaning is. 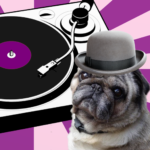 Weevil in Can't get no grinding (Muddy Waters) and Boll Weevil (Lead Belly). See an earlier episode. The wheat weevil / grain weevil in "Can't get no grinding" (Muddy Water) is a beetle that causes damage to harvested stored grains and may drastically decrease yields. The females lay many eggs and the larvae eat the inside of the grain kernels. Lead Belly sang about the Boll Weevil; a beetle that migrated from Mexico in the late 19th century and that destroyed cotton. The song is based on reality. In about 1892 a small snout beetle crossed the Mexican border in Texas and spread rapidly across the cotton growing regions. By the 1920s the boll weevil caused enormous economic damage. 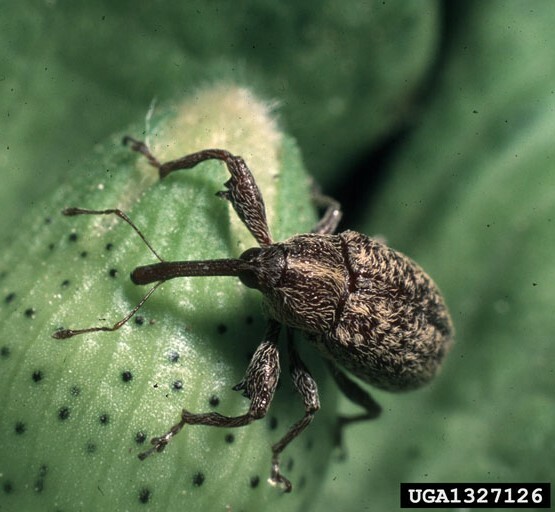 The boll weevil does its damage by laying eggs on cotton flower buds, called “squares,” or on the young developing cotton boll. Cotton buds are surrounded by three or sometimes four bracts that provide the beetle with a platform for its “home” in the song. The infected bud or boll stops developing and often falls off. 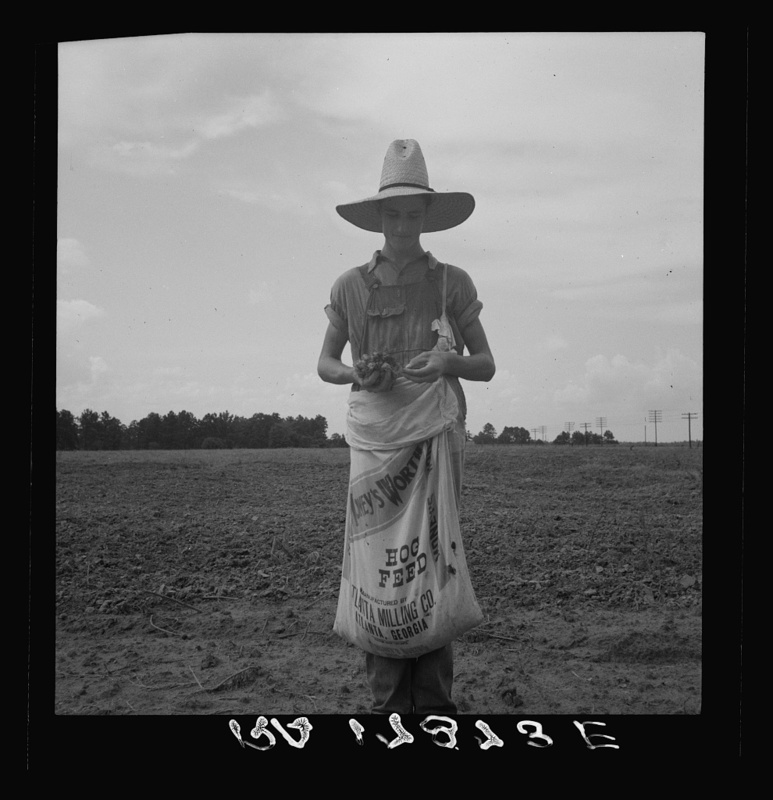 Arsenic and DDT were pesticides used on infested cotton crops, but the boll weevil developed a tolerance for it. Workers, many of them children, were sent to pick off all the infected bolls and buds. Worse, the heavy application of pesticides killed a wide spectrum of beneficial. The high level of pesticides formerly used on cotton crops also carried the risks of polluted adjacent food crops, water supplies, and consequent ecological damage. The economic impact of the damage caused by the boll weevil affected whole regions because much of the wealth of the south depended upon the cotton crops. Songs about the boll weevil often take the form of an interaction between the insect and the farmer. No matter what the farmer does to try to discourage the boll weevil, the weevil always adapts. As shown her by Brook Benton. Brook Benton (Benjamin Franklin Peay, popular during the late 1950s and early 1960s). Here with "The Boll Weevil Song" (1961). A line from Lead Belly's song "Shorty George"; see an earlier episode. The Katy is a train; the Missouri-Kansas-Texas Line train. The M-K-T was often called "The K-T" or "The Katy" for short. The Santa Fe refers to the Santa Fe Railway. Santa Fe whose own Texas main line ran down through Dallas to Galveston on the Gulf of Mexico. 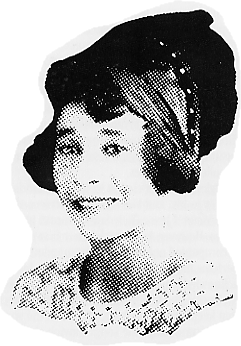 In 1929 Bessie Tucker recorded her song "Katy Blues" dealing with all sorts of problems with and around trains. More about trains in a next episode. Mmmmmmmmm, I caught the Santa Fe. All you women can say: "Your good man left town with me"." Spoken: "Lord, these women so evil." It means, when someone caught The Katy, he or she was going places. 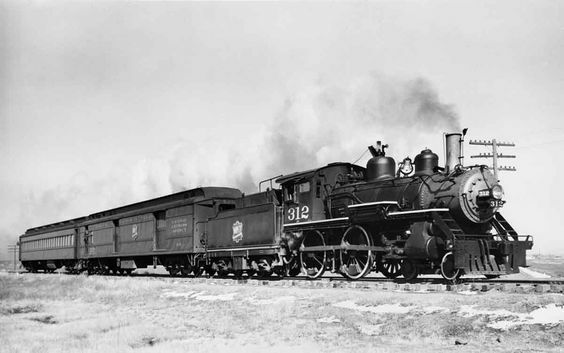 Bessie's man caught the Katy, which connected big towns in the North while she picked up the Santa Fe, which did not. Taj Mahal sang in 1968 "My baby took the katy and left me a mule to ride". Mule refers to a slower moving local train. A mule is also the offspring of a male donkey (jack) and a female horse (mare). Big Joe Williams sang an other version in this 1966 video. When the train left the station, the mule lay down an died". Both songs are about women who are sorely missed by their men. Taj's woman is "long, great god she's mighty, she's tall", Joe's woman can cook very well. This is the only known photo of Bessie Tucker. Tucker possessed a powerful voice, a kind of female equivalent to Charlie Patton. She lived near Dallas, Texas, probably Greenville or Fort Worth. Little is known about Bessie Tucker. I assume she had must a hard life, witness also her song "Penitentiary" (1928). She died young at the age of 27!